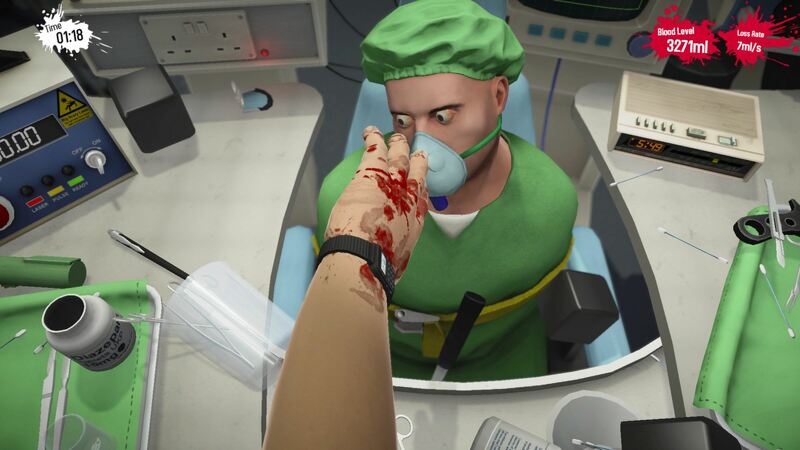 Weary of the operations currently available in Surgeon Simulator 2013, or maybe you’ve actually perfected them? Because if that’s the case, and you’re looking for a reason to don that fancy doctor outfit once more, then this Anniversary Edition DLC is… exactly what the doctor ordered. Now, a lot of fans seem to have a beef with the fact that Anniversary Edition is a premium upgrade, and not a (free) content patch. Guess they forgot about the free stuff that’s been added over the past year, following its release: Space Missions, Meet The Medic (Team Fortress 2 themed DLC) and of course, the incredibly complex Alien Surgery. Price tag ($2.99) aside, there’s a lot to both like and do, in this expansion pack/upgrade. For starters, you know how the experience so far has revolved around abdomen surgery, for the most part? Well, it’s time to play eye doctor and for once, play the part of the person doing the teeth pulling, as opposed to being the poor guy/girl in the chair. That’s right: the dentist has arrived! Oh and if you thought performing surgery in a moving car was troublesome, wait until you have to do it while racing down a hospital corridor. Nope, I’m not joking. Not in the slightest. They added that, on top of everything else, those crazies over at Bossa Studios. That along with improved graphics, new achievements (making for a total of 100+), and of course… stat tracking. The latter only showcases your last nine attempts at malpractice surgery/teeth-pulling/eye-gouging, however, but it’s still a welcome addition. Surgeon Simulator: Anniversary Edition (with soundtrack) is available from Steam, for Windows, Mac and Linux, either as a complete package ($12.99) or an upgrade ($2.99) for those who already own the game itself.